If you’ve lived, worked or bought a car in Burlington, chances are the name Leggat is familiar. Founded in 1922, the Leggat Auto Group is now a multi dealership chain with 400 employees, built by three consecutive generations. Doug Leggat, son of founder Roy, has been giving back to the city of Burlington for more than 40 years and, in 2011, was named Philanthropist of the Year by the Foundation. Doug was a driving force behind the development of our Foundation–serving as the first chair. “I felt that a community foundation was going to be fantastic for Burlington; something the community needed. It lasts forever. If I give them a donation, it lives forever.” Doug says. Doug has been a successful local automobile dealer since taking over the business from his father. He attributes his company’s success to the Burlington community in which his family has built their business. Over the course of his 50+ year career, he’s seen a phenomenal amount of positive change in the city, only adding to its appeal. 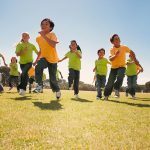 Children and youth is another area that Doug is a passionate about. Recently, the Leggat Family Fund granted to Nelson Youth Centres, an accredited children’s mental health centre that provides group based treatment programs for Halton’s children and youth and their families. Doug became involved with Nelson Youth Centres several years ago because he saw the need in Burlington for a place that supports children experiencing behavioural problems. 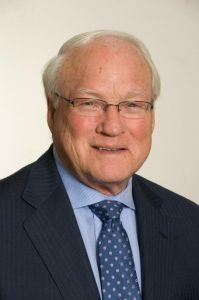 The Burlington Foundation named Leggat as their 2011 Philanthropist of the Year. The significant award is given to the nominee who best exemplifies the qualities outlined in the Foundation’s criteria, including community impact, financial gifts, leadership and volunteerism.